It's important for everyone to understand that this question might come up for a variety of reasons. There will be people raising the question with the solo intent of making fun of Cristiano Ronaldo, probably due to envy contained over the years. 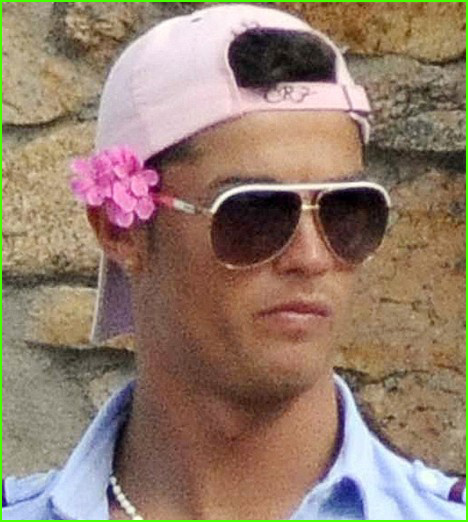 Apart from those, some could legitimately become instigated about Cristiano Ronaldo being gay or not, after reading gossips in magazines or misinterpret some photos that Cristiano Ronaldo took in the past and for that being let's just say that a man wearing a pink doesn't necessarily have to be gay. Cristiano Ronaldo has never been linked to any report where he would be dating a guy. Quite the opposite actualy, since Cristiano Ronaldo has publicly dated many women over the last years and his current girlfriend is Irina Shayk. Moreover, there have been plenty of rumors over the last months, about the couple being on the verge to announce an engagement. However and somehow playing the role of the devil's advocate, there are some ambiguous leads that could help supporting a thesis where Cristiano Ronaldo is gay or bisexual. A few gossip rumors exploited the opportunity granted by the lack of information regarding who is the mother of Cristiano Ronaldo son, to speculate that Ronaldo would have paid a surrogate mother to have his son, Cristiano Ronaldo Jr, because he is gay. It's not a secret that this resorting to a surrogate mother is indeed a valid way for gay people to become parents, but that doesn't seem to stick for the thesis of Cristiano Ronaldo being gay in any way. Another circumstance exploited by the press, happened short after Cristiano Ronaldo had a casual fling with Paris Hilton a few years ago. The American socialite allegedly said that she didn't feel atracted by Cristiano Ronaldo in order have something serious with him, because "Ronaldo was too gay" for her taste. What probably happened was that Cristiano Ronaldo dumped Paris Hilton and she became resentful with	him and tried to revenge through the media.